Brussels sprouts are like candy to me. I absolutely adore them, and I would totes rock a pair of dangly Brussels sprout earrings matched with a festive red & green Cosby sweater over a pair of swirly peppermint candy studs and a Rudolph mock neck any day. Crazy I know, but I’m dead surious, Clark. Just call me Luna Lovegood if you wish…I can take it. I’ll never forget the first time I had these sweet nuggets of nutrients. Lucky for me, they were never plopped on my plate when I was younger so I never encountered the soggy, boiled in water monstrosities people are always talking about. No, no…my mom was (and still is) incredibly picky about her food and, after the squash casserole incident, my Mama never force fed me anything ever again. I first had them several years ago at the house of an old friend of mine. Her husband was a sous chef for a very nice restaurant on Kiawah Island, and they used to have big family suppers for us every once in a while. When the bowl of them were first being passed around, I was scared to taste them b/c of the horrible things that people always said about them. But, after just a wee bit of convicing, I (wo) manned up and took a bite. That bite changed my life. I’ve been in love with them ever since, and I constantly crave them. Brussels sprouts have started to become more and more popular now-a-days, and I’ve seen some *incredible* new and inventive ideas for how to serve them…uuum….like balsamic Brussels sprouts grilled cheese sandwiches (I mean, is Jess for real?!? I’d have 10,000 of her Brussels sprouts babies) and Brussels sprout salad w/ cranberry honey vinaigrette (YES! I die…). These recipes are fantastic, and I have every intention of eating them everyday for the rest of my life…but…sometimes I just want to eat something…simple. Especially now that I have mono…yes, I have mono…I’m a 20 + 11 year old married woman with mono…don’t ask me how that works. The only peeps I’ve been kissing on are my man and our kittles cattles. Anywho, so now that I’m sick and have to “rest” for the next 6 weeks a lot of the upcoming recipes are going to be super simple but full of flavor. This is the way they were prepared when I first ate them, and this is the way I make them whenever I make them at home. This recipe is pure perfection, and I don’t see any need to change something that ain’t brokt. The natural sugars in the veggie caramelize and turn sweet and swoon worthy. If you haven’t had the pleasure of trying them yourselves please, please, please try them this way first. 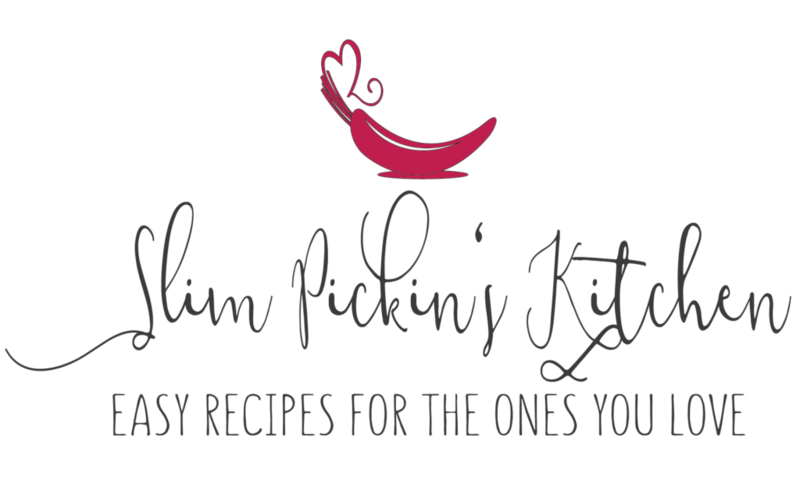 I pinky swear you’ll be hooked! Clarified butter, a touch of extra virgin olive oil, and a smidge of salt and pepper are all you are going to need here. 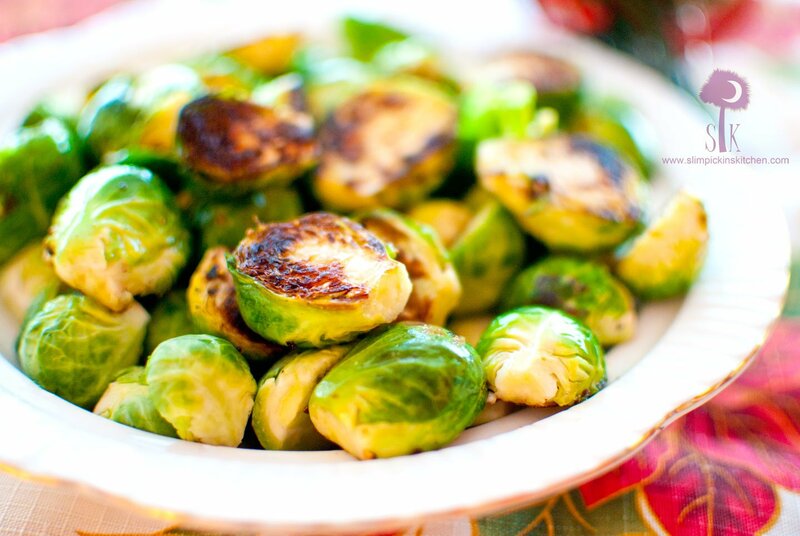 Were you served Brussels Sprouts as a child? Brussels sprouts earrings or peppermint candy? Cut off the small stalk on the end, cut each sprout in half lengthwise, and remove any loose or browned leaves. Add butter and oil to a large skillet and heat over medium-high eat until the butter starts to sizzle. 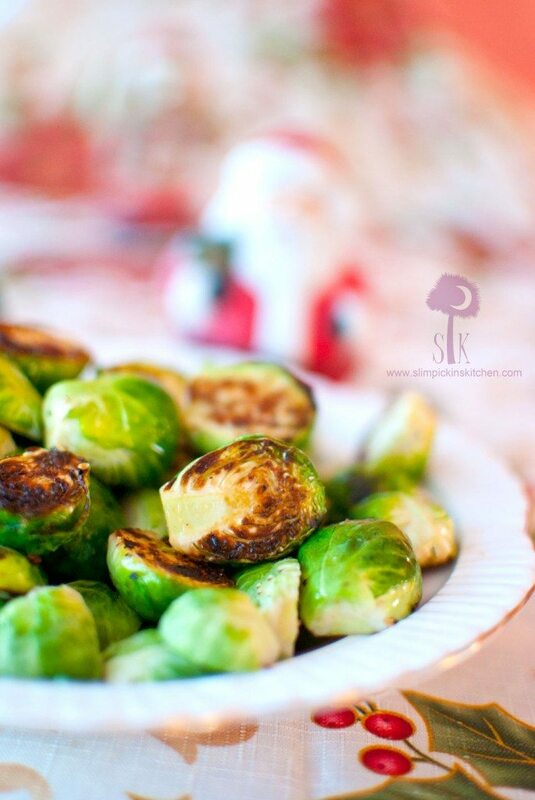 Once sizzling, place the sprouts, cut side down, in a single layer cramming as many as you can into the pan. Cook until they are golden brown and the sugars have caramelized, about 3-5 minutes. Add salt and pepper, then toss and saute the sprouts until they are cooked through and still hold their vibrant green color, about 4-5 minutes. Remove from heat and serve immediately. 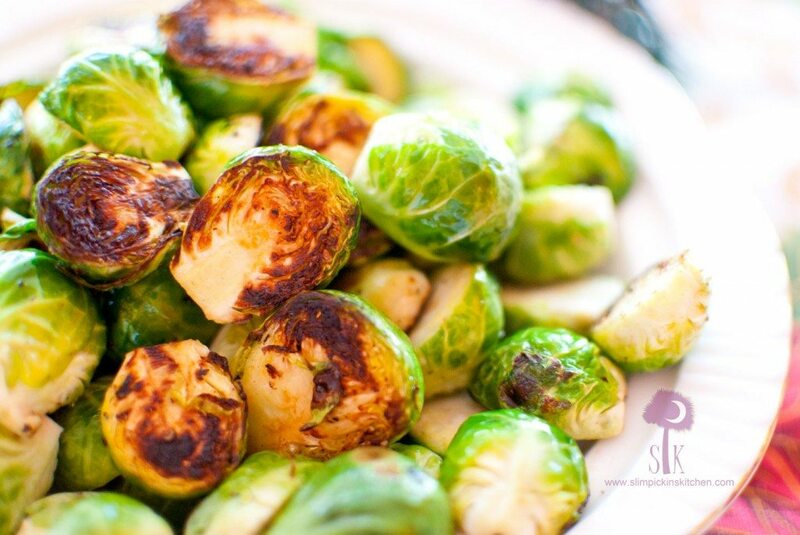 I LOOOOOOVE Brussels sprouts. I make mine with bacon and parmesan cheese when I’m in a hurry but caramelized onions when I’m not. Yum! That sounds delicious! I’ll definitely have to try that! I love them too. I always add some goat cheese and balsamic glaze. 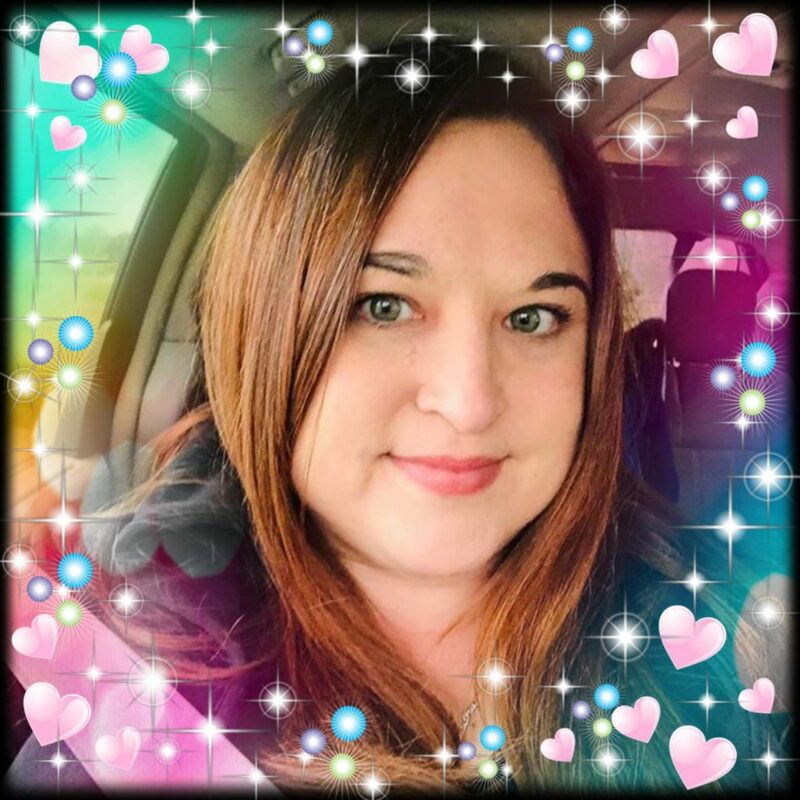 OMG, I am in love with you…in a non-creepy, invisible internet kind of way 😉 That sound D-I-V-I-N-E. So sorry to hear you are sick. 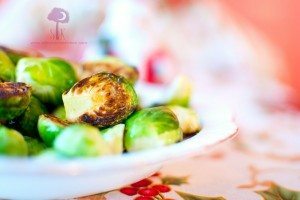 🙁 Bet these sprouts cheered you right up. 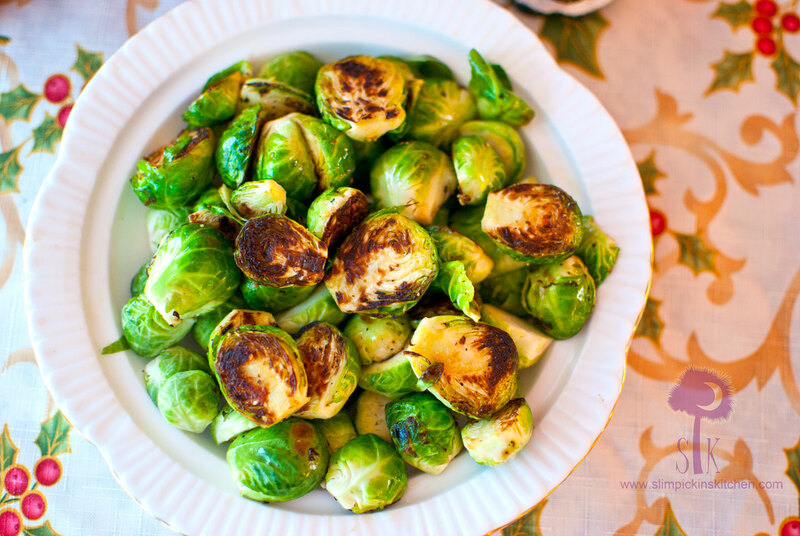 I love Brussels sprout so so much. I served mine recently with crumbles bacon and pine nuts. Sooooo goooood!